AMA DTC Ban, BI & Thunderclap, Who Manages Patient Engagement Can Docs Improve Outcomes with SM? Pfizer-stuffed Into Allergan! The American Medical Association (AMA) is urging the federal government to ban drug ads that doctors warn are inflating the demand for costly treatments and driving up prices nationwide. Hundreds of physicians voted in support of an advertising ban at the group’s annual meeting. Access AMA’s statement here and ANA’s counter-argument here. BI made use of the Thunderclap platform to act as another focal point for Twitter activity. 270 individual accounts signed up to the Thunderclap, exceeding BI’s target of 250. This ‘pre day’ activity helped drive the initial ‘spike’ that looks like the first part of the cough. At 10.30 on 18th November, Thunderclap sent out an approved Tweet on the timelines of the 270 users, which created a huge spike in social media activity for #cough. Supporters of BI’s Thunderclap campaign had a combined follower reach of 691,852 and included a range of different people and organisations, including large charities like Cancer Research UK, British Lung Foundation and the COPD Foundation, BI global colleagues from across the World, professional bodies such as the American Thoracic Society, the UKCPA and ARNS, and individual MPs and MSPs. Even the comedian Helen Lederer signed up to support the campaign. On the day BI saw tremendous engagement from across the Twitter community, and with several hours still to go, the graph was showing the picture BI hoped it would, with a big upturn from more than 1,300 tweets that were sent including the #COUGH, and people following through on BI’slinks to an infographic and to the BLF COPD website. 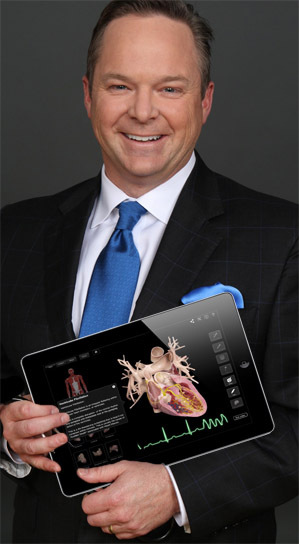 “Social Media is a powerful tool for communicating to patients, other physicians and interacting with scientists across the world” says Dr. Kevin Campbell, MD, FACC, an internationally-recognized cardiologist and social media evangelist. Q. Dr. Campbell, why did you start using social media? A. About five years ago, when I became involved in mainstream media, someone suggested that I look at social media. When I started using it, I realized it was a powerful tool to communicate to patients, to other physicians, interact with scientists across the world, educate myself, educate others, and share ideas. I saw that, although many of the top level executives in the Forbes 500 are on Twitter — few doctors are. I made it my mission to figure out why that was, and then to change the culture. Q. Can social media create better outcomes for patients? A. Absolutely. We know that if we involve the patient in the management of hypertension and diabetes, such as keeping track of their blood pressure the old fashioned way with pen and paper and a notebook, their outcomes improve. Their hypertension and blood sugar will be better controlled. So I extrapolate that fact.If I engage patients through social media, I think that their outcomes are going to be improved, because they’re aware of what’s going on. I can share some new treatments or new ways to manage a particular disease. It may not be appropriate for a particular person, but at least they’ll go and ask their doctor to see if it’s right for them. There are so many positive ways to impact patients, just by increasing awareness of their available treatments. Q. What about the challenges of using social media in the highly regulated healthcare industry? A. One of the challenges is lack of FDA guidelines. They’ve sat on the sidelines for a long time. A good example is the recent Kim Kardashian story, where she was tweeting about an anti-nausea medicine during pregnancy. She was paid by the company to do that, and she tweeted about how great the drug was. However, the FDA says that if you tweet about how good a drug is, you also need the talk about the possible side effects. It has to be a balanced story. Not a lot of people know that. Access the entire interview here. 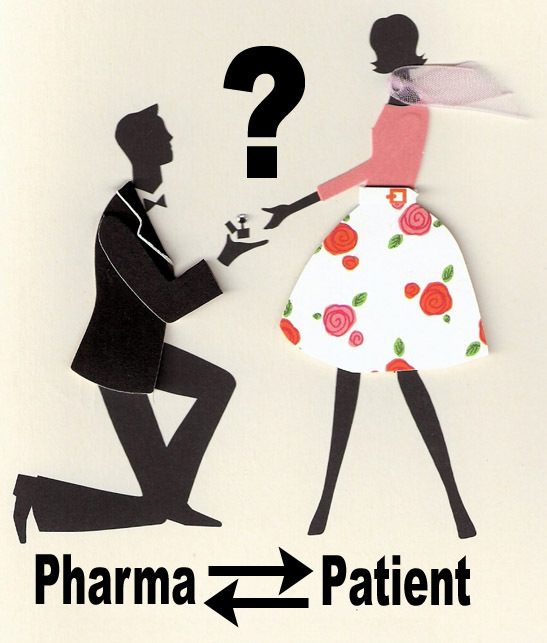 Which Pharma Department is Responsible for Patient Engagement? Marketing or Medical or Corporate Communs? We see the increasing importance of patient-focussed roles such as ‘Patient Advocacy Manager’ and the creation of relatively new ones such as ‘Patient Engagement Manager’, going right up to the C-level with positions like ‘Chief Patient Officer’ or ‘Chief Patient Affairs Officer’, says Paul Tunnah. But beyond the role titles, questions are now being asked about which department should house such personnel. There seems to be an allergic reaction to patient engagement roles sitting within commercial departments like sales and marketing because clearly the industry doesn’t want to be seen to be selling directly to patients where direct-to-consumer advertising is prohibited (pretty much everywhere outside the US). Equally, it’s generally not seen as a communications function because they’re already pretty busy managing the company’s image in the eyes of healthcare providers, policy makers, commercial/academic partners, investors and jobseekers. The answer at the moment therefore seems to be that patient engagement roles sit within the ‘medical’ functions of pharma companies, nicely one step removed from the selling side of the business and sitting within a department focussed on education rather than branding/PR. Gobble, Gobble! Pfizer is Stuffed Into Allergan. A Wall Street Thanksgiving! 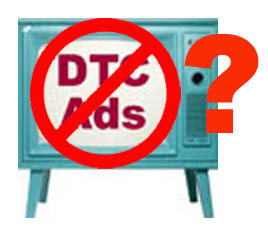 Previous articleIncreased DTC Advertising and Rising Drug Prices – Is There a Causal Link? 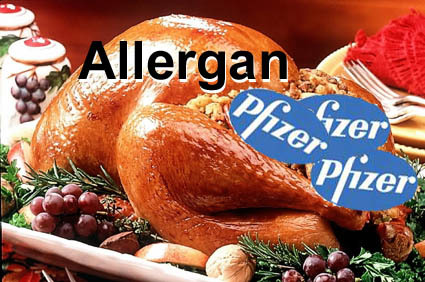 Next articleA Pfizer-Stuffed Allergan for Wall Street Thanksgiving!